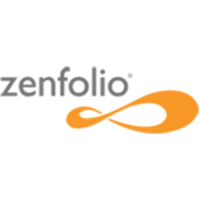 ● You can sign up for a 14-day free trial for Zenfolio. This is an opportunity for you to try out different plans and discern which one best fits your professional needs. ● Zenfolio does not offer a wide variety of coupons, but its offerings include promo codes for flat rate sitewide discounts on plan purchases. If you are intent on garnering savings for your Zenfolio subscription, you must check often for coupons in order to avoid missing the few that are published. ● When you purchase a Zenfolio plan, you receive access to 50 free tracks via the Triple Scoop Music add-on. These tracks are meant for use as ambient music on your site in order to enhancing the viewing experience of your photography. Zenfolio is a media company that gives photographers and other creative professionals the ability to create their own websites, browse through an unlimited amount of photos and videos, and backup their work entirely online. When you first land on the home page you can take a look at the features of the program, examples of how it can be used, their labs, and plans for future upgrades. Before you decide to buy the software you can try it entirely for free to see if it's the right program for your needs. They do not offer sales on the program as most customers either use the free version or pay the flat rate cost. For most up to date offers check out Zenfolio on Facebook and Twitter or contact Zenfolio Support for any questions.